1. Linear guide rail import from Taiwan, long-term using, high accuracy. 2. Powerful driver, high speed. 3. Good compatibility, type3/ Artcam/ Castmate are all compatible. 4. Double nuts ball screw automatically eliminate interstice. 5. 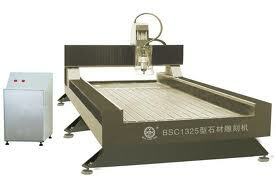 Whole machine in steel-cast frame, be available to afford heavy mould board, nice stiffness, no deformation.